This is the most extensive version of the PowerCube. It has a 1.5 meter extension cord fitted to it, so it can be mounted to have a power outlet within reach. To do this, a stick-on dock is included. An ideal location is your desktop: there is no more need to duck beneath your desk to plug in your laptop! Living rooms are often swarming with wires and tangled TV cords. 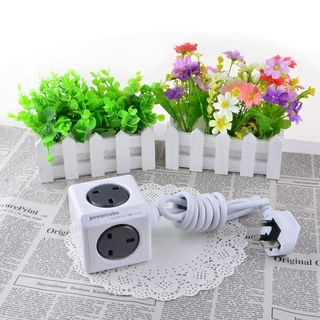 A lack of outlets leads people to daisy chain power strips together, creating an unpleasant looking and potentially hazardous situation. 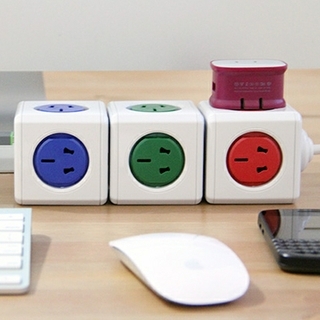 You can avoid this mess with the PowerCube Original|, which allows power cords to combine into one compact solution. The world would be a better, more efficient place if the devices we use had compact plugs. Unfortunately, most of our technological accessories come with bulky adapters that cover adjacent sockets, wasting an entire outlet, but our uniquely designed PowerCube, Originals & PowerCube Extended avoids outlet blockage, keeping things easy and efficient. The PowerCube Original USB comes with dual high-power USB ports (2.1A) that allow charging two devices at the same time, including smartphones and tablet computers (like the iPhone and iPad). The charging time will be shorter than charging via a USB port on your notebook. 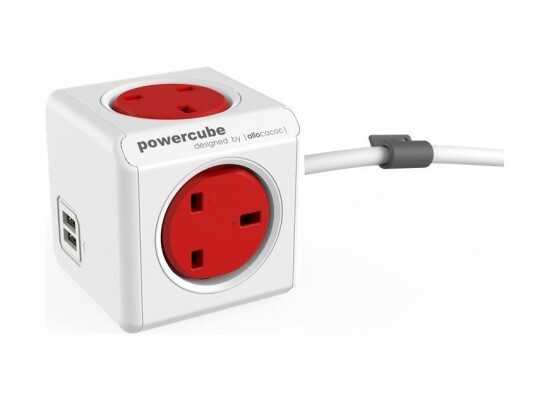 This PowerCube can only be used in combination with the PowerCube Extended or Extended USB, providing five additional outlets. 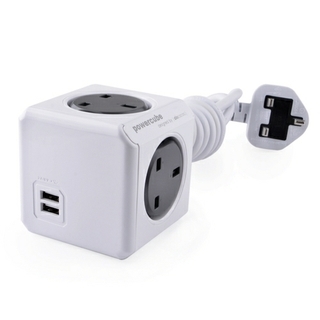 This PowerCube will not fit in the wall socket or other sockets beside the sockets of the PowerCube Extended and Extended USB.